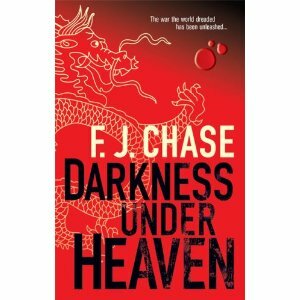 After reading F.J.Chase’s first novel, Darkness Under Heaven, I thought that the writing style had merit, but the action was a bit too frenetic and unbelievable. I recommended the novel to my readers of espionage because the main character was so appealing but with the caveat that I thought Chase would do better in his second novel. I was right. Bargain with the Devil strikes a more balanced note with believable action sequences, snappy dialogue and good character development in the primary character of Pete Avakian who could become one of my favorite retired soldiers of all time. He gives hope to those men over 50 who still see themselves as Indiana Jones-in waiting. I’m looking forward to Chase’s third novel and hoping that Pete changes his mind about retirement. This entry was posted in Thriller and tagged Bargin With The Devil, F. J. Chase, thriller. Bookmark the permalink.